Blackberry Nightshade berries from our bush. 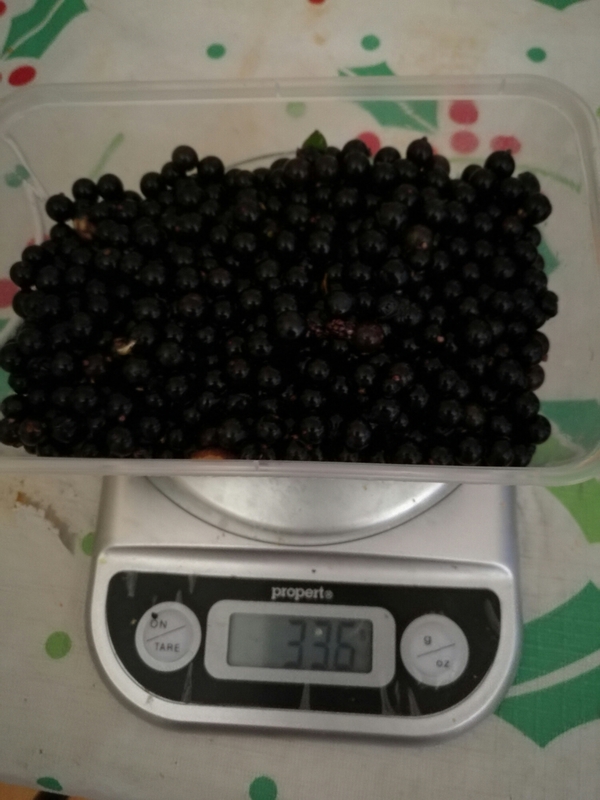 Today’s Blackberry Nightshade (Solanum nigrum) harvest…336 juicy grams! That’s what’s left after some were squashed, some eaten, some dropped, some eaten…You get the picture. We have almost as many on the bush but they’re still green (i.e a bit toxic). Now that we’ve decided to grow it as a fruit and I’ve watched it through its growth cycle, we will train it a little next year to make harvesting a little easier. We’re trying to find more hardy, less water intensive, less bug resistant substitutes for more traditional European and American plants. I reckon this is one for sure! I rescued this one as a seedling from our verge, transplanted it into the garden, right by the gate, where everyone could see that we were growing a ‘poisonous weed’. We’ve grown it to a productive bush almost a metre tall and even wider…A real success story.